We sit in church and listen attentively to the wonderful sermon that was preached and feel so refreshed by it. We go online and read a wonderful blog about how some person has been working for the Lord. We read the word of God and gain wonderful insights into the meaning of the passage of scripture. Yet…we sit and do nothing. Life happens. Work happens. Children happen . And so you find yourself too tired to play an active role in working for the Lord. And each week you return to church to receive another blessing from the service. And so we take in and take in, but we don’t do any spiritual work. And so we become…spiritually obese. Well today, I want to tell us all, to get up and get moving spiritually. Let us work the work of faith. Let us shake off the spiritual lethargy that has us failing to work in service to God in sharing God’s love with others. I must work the works of him that sent me, while it is day: the night cometh, when no man can work (John 9:4, King James Version). We don’t need any special qualifications to work for God. We don’t need money to work for God. We don’t need a special time to work for God. Then it will be that we will stop only being fed, but also share and feed others the spiritual Bread which we have received. Oh Lord, help is to share Your word with others, that they too may be blessed, as we have been by receiving Your Word. Tanya is a child of God, wife, stay at home mom and homeschooler. She loves the Lord and loves telling people about who He is. By God’s grace her husband and she intend to live out Joshua’s statement “but as for me and my house, we will serve the Lord”. And so her greatest desire is to see her Lord face to face and along with her family, join in the joyous strains of triumphant voices praising our Lord and King. Check out her blog at God’s Character. Okay this is it. I am moving all the posts of Under the Cover of Prayer over to my website, He Cares for You. I haven’t seen a flood of activity in signing up so I hope I don’t lose those who want to stay in touch. Please pray that this goes smoothly. 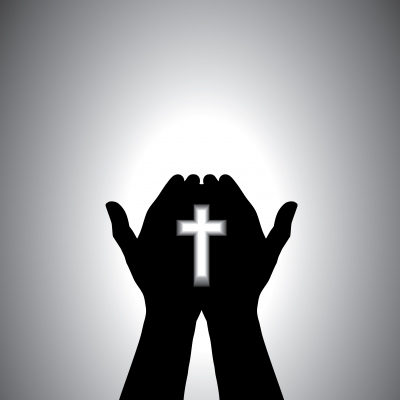 At the end of my blogging Sabbath (mid May) I will be up and running again with posts about prayer. First of all – I miss writing. Second – I am enjoying the freedom the Sabbath is providing me. Third – I don’t feel pressured. I feel like the Holy Spirit is leading me each day to figure out what to do next. This is what I have found out so far. 1. I need to bring this blog over to my website, He Cares for You. 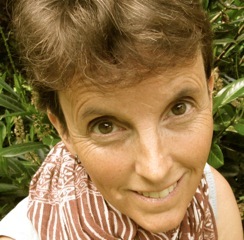 www.janiscox.com. 2. I need to give my wonderful email subscribers and RSS Feed Subscribers ample time to drive over and get settled. 1. Drop over right now to www.janiscox.com and subscribe by email. That way when I do the export I won’t lose you. 2. Join my Newsletter at the same time and you won’t miss a thing. New surprises each edition. Free colour prints of my artwork. 4. You won’t find Under the Cover of Prayer there YET. Don’t worry I will tell you when I actually move. Feel free to ask me any questions you might have. At our church we have a song we sing at the end of most services called “Go Now in Peace”. That is so important – to remain at peace – even in the middle of a storm. Read More. “O LORD, hear me as I pray; pay attention to my groaning” (Psalm 5:1 NLT). If you accept the idea that prayer is a conversation with God, the first prayer recorded in the Bible is found in Genesis. The context suggests that human/divine interaction “in the cool of the day” was a regular feature of life in Eden. Read more. Why do we buy potted tomato plants in spring instead of tomato seeds in winter? Why do we see movies on their opening weekend instead of several weeks or months later? Why do we stop by fast food restaurants instead of pulling a recipe book out of the cupboard? Because we are a generation that just cannot wait. Some things can’t be rushed, though. The crocuses and hyacinths that are flaunting their purple petals in the garden kept us waiting all winter to see their fresh spring faces. The newborn baby that was due a week earlier kept her family wondering, breathlessly awaiting her arrival. And prayer is a lot like spring flowers and babies’ births. Be patient, then, brothers…( James 5: 7-18, NIV). Just like the farmer waits for crops to ripen and rains to come, we pray and wait. Just like believers anticipate Christ’s return, we pray and wait. Just like Job yearned for better times and we long for suffering to be over, we pray and wait. There is nothing instant about the process of prayer, is there? James reminds us that even Elijah, the LORD’s prophet, needed to wait. He waited three long years to have his prayer answered, ending a paralyzing drought. And somehow, James invites us to be women and men like Elijah. He coaxes us to accept the challenge, to see prayer as an identifying marker of our faith. It is an expression of our belief in the immortal, invisible, eternal One who exists outside of time. For Him, a day is no different than a thousand years, or a thousand years than a day. From His vantage point, God can see when a prayer’s answer will most transform lives. And while we wait, God is not idle. We who pray are being changed; our faith is stretched, our motives are purified, our concern for others is deepened. We become as we pray. Make a mental note: the next time we see a spring flower or a baby, a new blockbuster or a fast food restaurant, let’s think about prayer and waiting. Let’s embrace the partnership between the two that can be, as James reminds us, powerful and effective. We who believe are called to wait. The One who calls us is faithful and He will do it. Dear Lord . . . May I be willing to step up when those precious Prayer Warriors need to step back. I pray that You will surround them with Your love and peace. And may they rest assured that You will raise up those who will faithfully pinch hit on their behalf. Refresh them. Renew them. And restore them. In Jesus’ name. Amen. 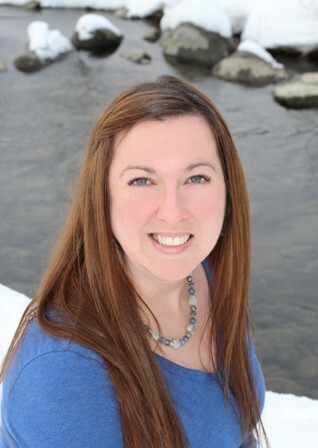 Steph Beth is a wife of over 30 years and the mother of three grown children. 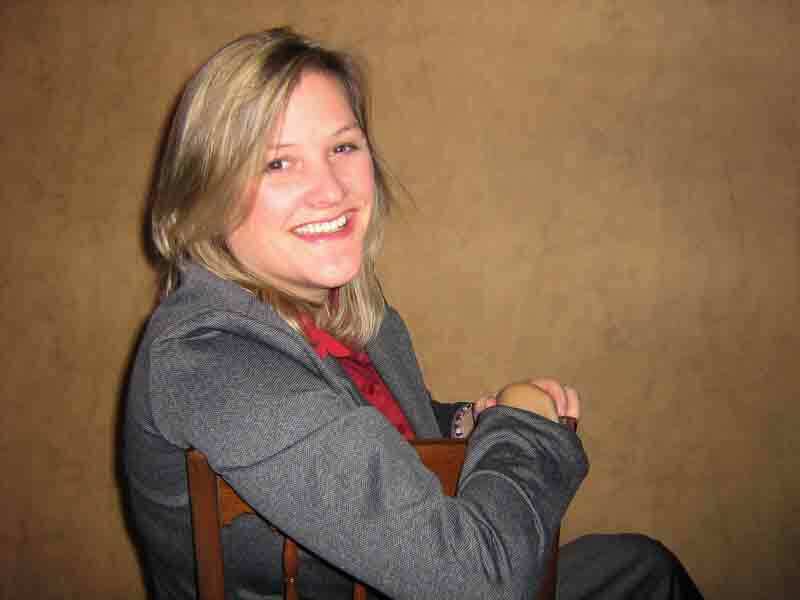 Steph’s eclectic interests include writing, editing, fitness, and childbirth (she is also a labour doula). Steph’s was honoured to co-author former Paralympian Deb Willows’ memoir. Living Beyond My Circumstances is scheduled for release at the end of November 2013. Steph edits for Christian Editing Services under the leadership of Karen Burkett. 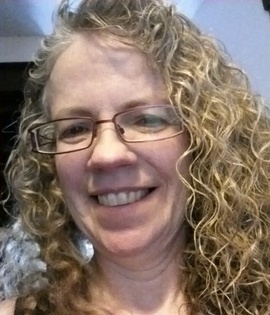 She is a long-time member of The Word Guild and a recent member of InScribe Christian Writers’ Fellowship. Steph blogs at Steph’s Electic Interests. Her new author website, Steph Beth Nickel , is a work-in-progress. Let us each come to Jesus today – and as our Intercessor lay down all those thoughts, troubles, thanksgivings and hopes to God. Have a blessed Sunday. Thanks to Days N Thoughts for this wonderful devotional. This is an edited repost from January 2013 …..
Dear Jesus, how desperately I need to learn to pray. And yet, when I am honest, I know that I often do not even want to pray. In your mercy, Jesus, bring my “want-er” more in line with my “need-er” so that I can come to want what I need. In your name & for your sake, I pray. —Amen. Today I am joining … Still Saturday and Sunday Stillness and Spiritual Sundays and Scripture & a Snapshot . I started Under the Cover of Prayer in 2010 because I felt God calling me to bring pray-ers together; to teach more about all the facets of prayer; and to make me a better pray-er. I have read many prayer books. I study the Bible. I focus on what I hear and see. Today’s reading from Oswald Chambers really struck me. How does God view our prayers and our pray-ers? Your attitude should be the same as Christ (Philippians 2:5, NIV). Now that makes me think long and hard and ask myself some questions. Am I pleading without being with the mind of Christ? Am I thinking of myself and my feelings, and my agenda when I pray? Do I question God and ask how can I do this? Do I let tell Him, ‘it is impossible’? Do I decide for Him whether something will work or not? live in a holy relationship with God … having such intimate contact with Him that we know His mind about the ones for whom we pray. For that reason I need a blogging holiday – not just one week, but at least one month away from blogging. Please pray for me while I take this time to renew, refresh and rekindle that intimate relationship that I crave. From April 10 – May 10th. I want to R.E.N.E.W. If you need to contact me during this time please email Under the Cover of Prayer. Lord Jesus, you have told me to take this time away to renew. Please help me to hear clearly what is important to you. In Your name, AMEN. You Want Me to Pray for Whom, Lord? Recently a person very close to me began to make some ungodly choices in her life, which grieved me greatly. One day she sat beside me in church, and while it was a bit uncomfortable, I did my best to focus on the lesson. Then, as the pastor prayed to end the service, I felt the Lord tap me on the shoulder. I found no one to stand in the gap (Ez 22:30)? Seriously chastised, I pondered those words for the rest of the day, and in the morning during my prayer time I asked God for help. You see, I had actually said a few prayers for my friend, but I never focused on fighting for her. I was too annoyed by her bad choices. I was so disgusted with her behavior that I didn’t want anything to do with her. And that is a very bad place to be. Once when I was in high school, I mentioned to my mother a situation with a girl I really didn’t like. Her response was to pray for this girl, to which I’m sure I scowled. Why would I pray for someone I planned to avoid? So I begrudgingly began to pray for the girl, and to my surprise, it only took a couple months before we became friends! God changed my heart, but I had to take the first step. The same thing happened in recent months. As I began to pray for my backslidden friend, God began to soften my heart toward her and helped me see her as He saw her, a lost and confused soul who just needed someone’s support. Now, she’s growing closer to the Lord, and there is much less weirdness between us. All because I was obedient and prayed. 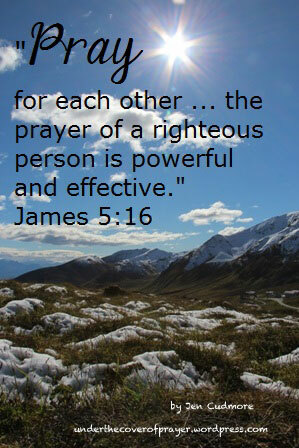 The Bible tells us to pray for each other (James 5:16). Don’t hold back because you have negative feelings toward someone! Your prayers are powerful. No matter who God lays on your heart, be sure to be consistent. Then sit back and watch Him work! Jen grew up on the Columbia River Gorge and currently lives in Alaska with her husband, two children, two boxers, and two cats. Her goal is to write novels that encourage women to look for positive qualities in a life partner, and to foster an environment of real romance, rather than fantasy, as they grow old with their spouse. For more, visit her website at http://www.jencudmore.com/. You can also find her on Facebook, Twitter, Pinterest, and Goodreads. And now, O Lord our God, who hast brought Thy people forth out of the land of Egypt with a mighty hand, and hast made Thee a name, as at this day (Daniel 9:15 NIV). In the Bible, we see that Daniel was a righteous man who prayed regularly to God. He spent time reading the scriptures and talking with God. Daniel knew that God kept His promises and fulfilled prophecies. When Daniel prayed, he reminded God of the mighty acts He’d performed. Has God moved in your life with answered prayer? When you pray, do you rehearse the great acts that God has performed in the past as you ask for His intervention in the present? Next time you make a request in prayer, start by recalling all that God has done in the past. Include His miracles from the Bible as well as from your own life. Praying with a memory will help grow your faith.